Dr. Frederick A. Schipizky was born in Calgary, Alberta in 1952. 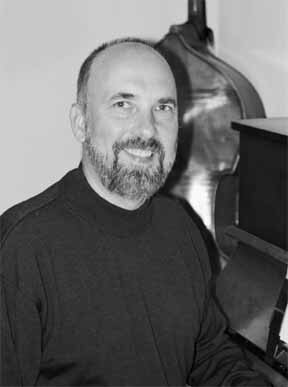 Schipizky pursued graduate studies at the Juilliard School (1976-78) studying composition with Roger Sessions and David Diamond and double bass with David Walter. He received his Master of Music in composition and performance in 1978. That same year he won a position as double bassist with the Vancouver Symphony, a position he still holds today. During his varied career in music Schipizky has been a teacher, performer, conductor, and orchestrator. This diversity has shaped his compositional style, which is eclectic but always maintains a keen sense of melody, counterpoint, and harmony framed by colorful orchestrations. He has written many works for celebratory occasions such as Fanfare to the Royal Visit performed at BC Place Stadium in the presence of Queen Elizabeth. Schipizky's works have been performed throughout Canada, the U.S., Europe, England and Japan. His orchestral works, which form the main body of his oeuvre, have been performed on International and Canadian tours. He has received commissions from the Vancouver Symphony, Toronto Symphony, CBC Radio and Expo '86 among many others. I will never forget the summer of 1975. That year you were the bass instructor for the National Youth Orchestra of Canada, the first of many years that you taught there, and I was awe struck that a famous teacher from New York was going to teach us. You didn't disappoint! I remember your solo recital that had all of the musicians talking, not just the bassists. I believe we made you an honourary Canadian, eh? Even at that time you were supportive of my fledgling compositions and I remember when I did go to study with you a Juilliard that you arranged for me to receive a "Meet the Composer" grant which included you performing one of my early duos. You didn't have to do all of that, after all you were a busy person with a full teaching class at two different schools as well as your Ballet Orchestra gig. But you always seemed to know when a student needed a little prodding or encouragement at defining moments in one's career. I am certain that if I had not met you in the summer of 1975 I would not be where I am and who I am today. I am forever in your debt. Casa Mia. In this work for solo double bass I use the Spanish title Casa Mia (my house) because David Walter's bass class always seemed like part of one very large family. The work has a Spanish feel and in fact features a Habanera duet for one bass.